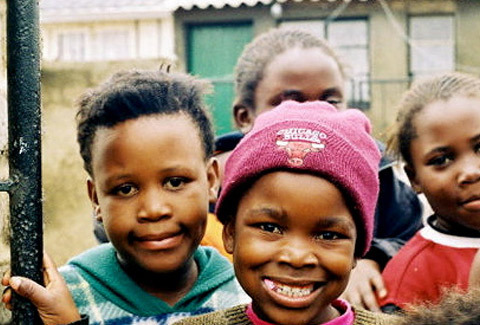 Since the end of apartheid in the mid 1990s, South Africa has made enormous strides in its attempts to truly become a “rainbow nation”–the term coined by Nelson Mandela as he envisioned his homeland’s tremendous potential for racial harmony. The country was an international pariah in the 1980s, but by the dawn of the 21st century it’d become a global leader of freedom and equality. 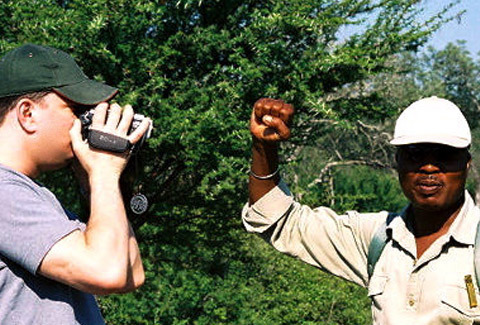 Still, when The Reporters Inc. traveled to South Africa for a month in March 2004 to begin production on a documentary about race relations, it quickly became clear there was still much work to be done. So, as a result, the title of this project was born: Reaching for the Rainbow. The goal of the program is to show the evolution of South African society–after white rule in the country gave way to true democracy. Using historical footage, material honed from more than 40 hours of interviews from 2004, and new footage to be taped in the near future (as soon as funding is available), The Reporters Inc. will present a rare look at the thought processes, belief systems, biases, prejudices, struggles, accomplishments, breakthroughs, joys, and revelations of the South African people, through their own words and experiences. 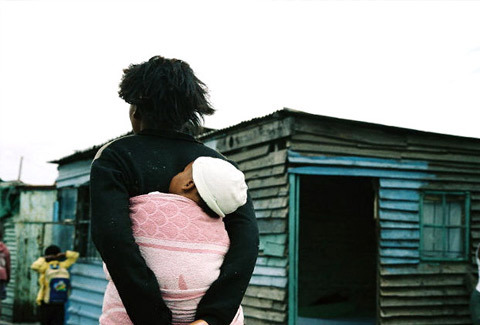 Reaching for the Rainbow will take viewers to the urban, cosmopolitan meccas of Cape Town and Johannesburg, as well as historic townships like Soweto, and finally to the most rural and impoverished regions and pockets of the country. The Reporters Inc. talked with university students and professors, blue-collar workers, the unemployed, children, teenagers, parents and the elderly. Black and white, gay and straight, rich and poor. We conducted interviews in bars, at beaches, at schools, and on streets. We filmed in some of the most beautiful locales and most gut-wrenchingly hideous slums. 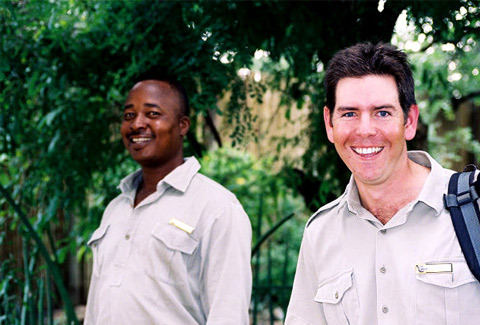 Most interestingly, however, were the similarities we discovered between South Africa and the United States. The two countries are more similar than perhaps the U.S. and the U.K., in many, many ways. And most people probably have no idea this parallel even exists. 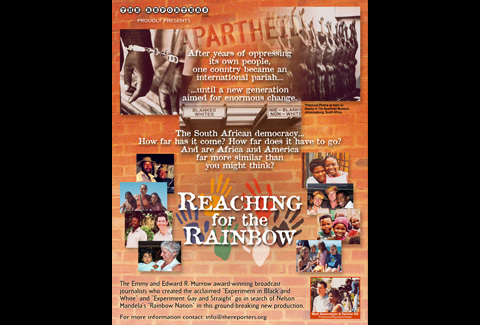 At the same time, while racism is often kept “under wraps” in the U.S., in South Africa race-based animosities, stereotypes and just-plain hatred were simmering (and sometimes boiling) in every corner of the country during our time there in 2004. The Reporters Inc.’s Mark Saxenmeyer (who is white) and Darlene Hill (who is black) will explain in the documentary just how differently each was treated in various situations, depending on whom they were talking with, and for what reason. 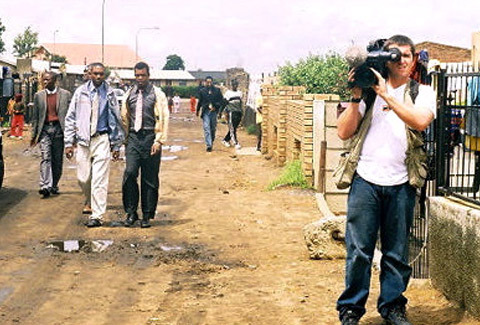 The Reporters Inc. now intends to return to South Africa and re-interview some of our 2004 subjects, in an effort to show just how far (or not so far) they’ve come in terms of accepting and adapting to their post-apartheid world. We want to shoot in the South Africa of today, to also compare and contrast the changes that have occurred in just the last ten years. We envision the final product as a thorough and all-encompassing look at a fascinating society, a democracy still in its infancy, and a country in constant flux. We hope to present this documentary at film festivals, in theaters, on broadcast and cable networks, local stations, Internet platforms, and distribute it throughout the world. Most importantly, we also hope to market the finished documentary to schools as an educational tool. The Reporters Inc. needs your help to raise the funds to return to South Africa to resume our research and interviews; an outline of our budget expenditures and needs is available upon request. To donate, please click here, and remember, your contribution is tax deductible. We believe in what we’re doing wholeheartedly, hope you might share our vision, and that you’ll be able to somehow assist us in completing this important and revealing project.